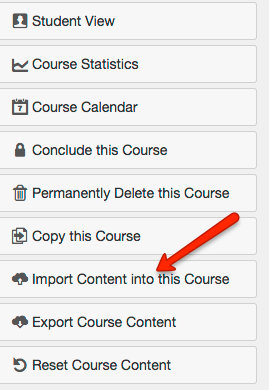 If you previously used a free Canvas account to teach your courses, please take some time to migrate the content to the ACU Canvas environment at acu.edu/canvas. Using the campus account will reduce students’ burden of having to deal with multiple systems. If you have difficulty logging into the ACU account, please let us know. 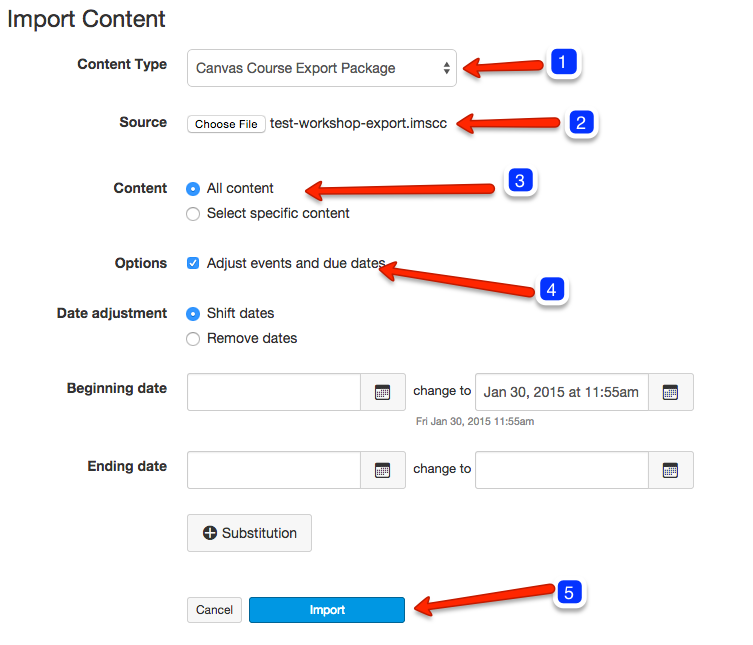 First, export your course from your individual account. Check this tutorial for instructions. Once the content has been exported, save it to your desktop, and close the window for this individual account to avoid confusion. 2) Click on “Choose File” and choose the file you just exported. 3) Click on “All content”(or “Select specific content” if desired). 4) Click on “Adjust events and due dates” which will bring forward another window to ask if you will “Shift dates” or “Remove dates.” Choosing “Shift dates” will require that you set a new beginning date and a new ending date. You will then see the import being processed. Wait till it is done. You will see the button when the job has been completed. The final step is to go through your course page by page and make adjustments as needed.